This is the Part 3 of the Wellness Walking article series. Fast walking, along with other aerobic exercises, is the basis of wellness training. That’s why it has to meet its principles; otherwise, it can cause harm instead of good. Despite all of the differences, wellness training (such as sport) features the following basic components, defining its efficiency; the type of exercise, its length, and intensity, the periodicity of the lessons (the number of them in a week) and the length of the relaxation between the lessons. Let’s briefly discuss the basic features of these components of the wellness walking. How wellness training influences the organism – firstly, it depends on the type of exercise and the structure of the motion act. All physical activities are divided into two large groups: cyclical and acyclical. The effect of cyclical exercises (such as walking and running) is concentrated on the growth of functional (hidden) abilities of an oxygen-transporting system, aerobic productivity, overall endurance, and workability. The effect of the acyclical exercises (gymnastics, strength exercises, jumping, throwing, etc.) is concentrated mainly on the motion apparatus and leads to the increase of speed, strength, muscle mass growth and thickening of the bone tissue. They have almost no influence on the cardiovascular system in terms of functional increase. So, these two types of exercises affect the organism differently; the first ones have strongly marked wellness and prophylactic effect, the second ones increase the risk factors of cardiovascular diseases, like growing body mass, heightening of blood cholesterol levels and arterial pressure (especially strength exercises). That’s why everyone admits that any wellness program for middle-aged and elderly people (more than 40 years old) should be based on cyclical aerobic exercises. So, our principle is “only aerobics”! The most available, efficient and safe one among all aerobic exercises is wellness walking. A walker will overpower the road! The amount of exercise is its volume, duration, and kilometrage. Depending on the degree of its influence in the physical wellness training (like in sports), exercising is divided into threshold, optimal and extreme. These are exercises exceeding the minimal amount of usual motion activity, which gives the required wellness effect, such as compensation of lacking energy expenditure, increase of body’s aerobic abilities, physical workability and decrease of cardiovascular diseases’ risk factors. From the point of energy expenditure compensation, the threshold is considered as such duration of exercising that corresponds to the expenditure of approximately 2000 kcal per week. So, during the mass checking of the population on the five continents, it was shown that people who regularly practice physical training (mainly walking and running) with similar energy consumption had four times lower mortality rate from heart strokes than those who had less motion activity. Such energy expenditure is provided during fast 40-60 minutes walking five times a week (and slow one-hour running thrice a week). 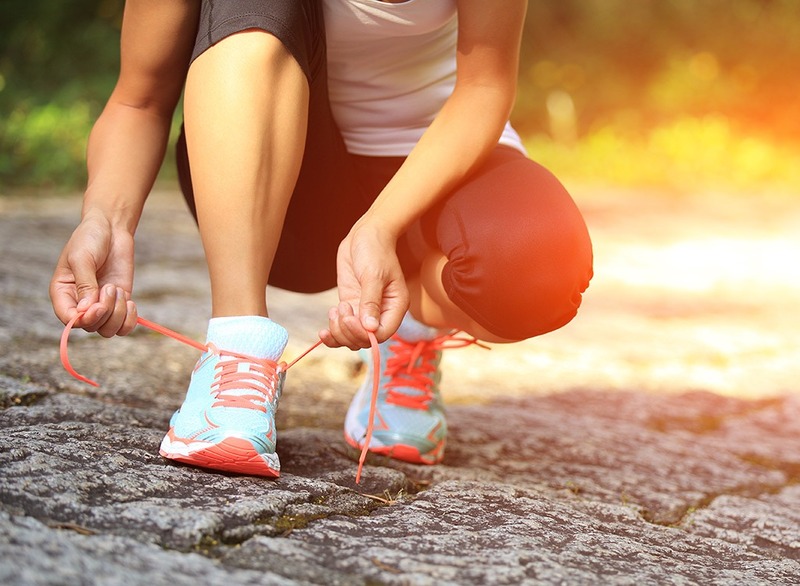 The increase of beginners’ aerobic abilities could be noticed in 12 weeks of doing 40-minute wellness walking training programme five times a week. So, minimal (threshold) exercising for the beginners, required for preventing of cardiovascular diseases and strengthening of the health, is fast 30-40 min walking five times a week. It’s exercising of such amount (and duration) which gives maximal wellness effect for this or that person. The optimal exercising zone is limited by the threshold level at the bottom and maximal level at the top. Optimal exercising for well-prepared athletes with many years of experience is five hours of fast walking every week (five times an hour). Further increasing of this amount is not rational because it doesn’t lead to any additional increases of body’s aerobic abilities and physical workability. Moreover, it creates a danger of cardiovascular overload. It’s exercising that exceeds the organism’s functional abilities. As threshold and optimal, they’re different for everyone. For the experienced amateur runner, it can be a marathon distance, for the beginning walker – constant one-hour walking. Extreme exercising has a negative influence on the organism, leading to long workability decrease and possibly sharpening different diseases, including heart attack. The frequency of wellness walking for beginners depends on its duration. The ordinary recommendation is 20-30 min of constant walking in your habitual rhythm three or four times a week. Prepared wellness walking fans can do it five times a week, but not more, keeping two days for relaxing and recovering. The intensity of walking depends on its speed and the landscape of the track and is defined by heart rate in percents from its maximum. The maximal heart rate (maximally possible for that person) depends on the age and is counted by formula “220 minus age”. All the training exercises in cyclical kinds of sport are sharply divided into three zones: aerobic, mixed (aerobic-anaerobic) and anaerobic. Aerobic (oxygen) zone differs from the mixed one by the level of threshold anaerobic charge (TAC). It’s the level of exercising intensiveness and motion speed, during which oxygen is not enough anymore, and organism begins to use anaerobic (oxygen-free) sources of energy with the production of lactic acid and “oxygen-debt”. Since hypoxia (body resistance to the lack of oxygen) is decreasing progressively with age, it can cause coronary artery spasm, supplying the heart muscle with blood, and even heart attack. That’s why the main reason for the safety is aerobic zone training, not higher than TAC level. So, the principle is the same again – aerobics only! By the way, all complications, that have ever happened during wellness training (and they are extremely rare), were not connected to walking, because, in this kind of aerobics, it’s very difficult to leave the aerobic zone – it requires speed faster than 6 km/h, which is rather difficult for beginning amateurs. But nevertheless, you have to follow certain rules during walking for fitness too. They prevent exceeding optimal individual speed. You’ll definitely question – how to measure the intensiveness of walking, the speed that divides aerobic and mixed zone (TAC level) and how to make one’s training safer. It’s rather simple. You only need to count your heart rate on the carotid (neck) or the radial artery, where pulse is usually measured, in 10 seconds, and then multiply this number by 6. This will be your “work” pulse during 1 min, which directly reflects the intensity of training and the speed of walking or running. While walking, it can be done even without stopping, holding the timer in the left hand, and four fingers of the right one slightly pressed to the carotid artery area on the left side of your neck. And if you can afford it financially, you can buy a Japanese watch with pulse detector on the radial artery. 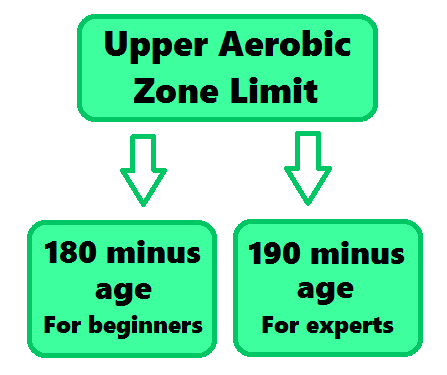 How to define the upper limit of the aerobic zone? If you’re a beginner, an unprepared amateur of walking and running, your TAC level is described by the formula “180 minus age”, and if you’re a skilled veteran with many years of experience – 190 minus age (in years), which is equal to 65% or 85% maximal age heart rate, which is counted by the formula “220 minus age”. The range of allowed heart rate changes, depending on age, in physical wellness training (from 40 to 70 years) is 120 to 150 beats per minute. It’s confirmed by the recommendations of such prestigious scientific centre as the American institute of sports medicine. However, it’s important to notice that these measures and pulse control are needed only in the first stages of training, when it’s required to develop your own optimal walking pace, which suits you the most, suits your physical fitness and health condition. This is so-called “your own pace” (according to our terminology), your optimal speed in the aerobic zone, which won’t cause difficulties and brings you pleasure. The pleasure of training is a very important factor in health strengthening and getting rid of emotional stress, which by any means can’t be ignored. Remember – it’s the very thing that differentiates us from professional sportsmen. Walking, as well as running, should be easy, free and derived of additional stress. The feeling of heaviness, which usually appears when you exceed your optimal speed or walking up a mountain, is a sign of dangerously high speed and entering the mixed zone. Breath control can help greatly to control your walking. While the walking speed is within the aerobic zone limits, you can easily and freely breathe via the nose and chat with your partner, in case you go together. When the speed is reaching the TAC level, breathing increases sharply and requires additional inhalation via the mouth (the need in oxygen grows). It becomes mixed nose-mouth, and talking becomes harder and abrupt. This is so-called talking-test, or nose breathing test, which lets you always control the rhythm of walking very precisely (if you have a healthy nose and throat), and doesn’t require stopping and pulse measuring. If you want to check your optimal speed, “your pace”, you’ll need to walk alone at first because health condition and physical fitness are so different for every adult person; it’s hard to find even two persons with similar optimal speed. When walking with a partner at the same speed, you can have heart rate 90, when he or she may have 120. It’s clear that walking like this won’t be good. So, train and always do it with pleasure – and this is possible only when you walk at “your pace”. First of all, for the successful fighting with obesity, it’s required to limit your menu so that the intake of calories wouldn’t exceed their overall expenditure on the usual everyday motion activity and main exchange (the amount of energy which is spent in 24 hours on the support of breathing and blood-circulating systems). 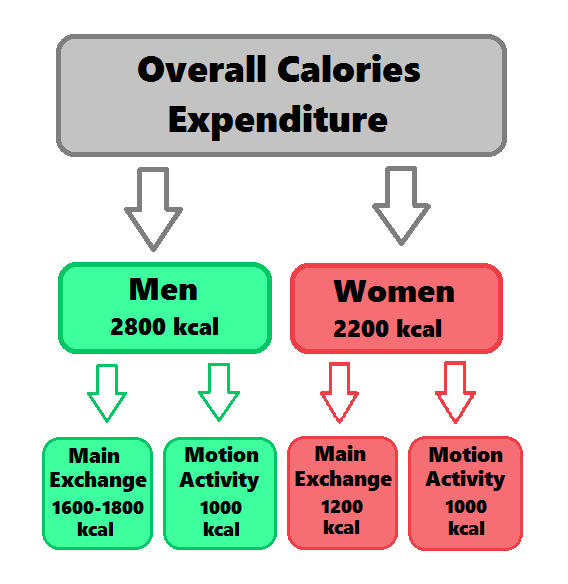 For men, this summary number is 2800 kcal, for women – 2200 kcal (main exchange in the male organism takes 1600-1800 kcal and usual motion activity – about 1000 kcal). So, first of all, you need to reach an energetic balance via restricting your menu (don’t eat fatty sorts of meat and sweets). If you start briskly walking in addition to your slimming programme, the extra energy expenditure will lead you to the negative energetic balance. For example, walking 30 minutes a day at the speed of 6 km/h requires additional expenditure of 100 kcal, which is equal to 1 kg of fat tissue loss every month. Accordingly, one-hour everyday walking will let you lose approximately 3 kg in a month slowly, but effectively! Because, the slower the weight loss, the more stable it is. Reducing the body mass only via restricting your menu or full many-days fasting is much less efficient because it leads to further decrease in the main metabolism. After you finish the fasting, your food demand will be so low that even its minimal amount quickly nullifies so hard-earned success, and body weight catastrophically returns to its previous level or even overcomes it. The quantity of fat cells in our organism is determined genetically (children will inevitably repeat their parents’ situation with obesity), and these cells very reluctantly get rid of their contents. And to activate them and make them give fatty acids away, it’s necessary to stimulate the metabolism – and it can be done only with the help of aerobic training. Moreover, when you avoid food, you lose not only fatty tissues, but also muscle ones. You get relative muscle dystrophy, and it causes quite a negative effect on your health. Decreasing of cholesterol level in blood with aerobic training is more stable and noticeable too, compared to fasting. Besides that, endurance training, especially in the evening, sharply suppresses your appetite, because it slows down the digestion center, what also contributes to body weight losing. So, for successful results, you should use both methods: fast walking and limiting the fats and carbohydrates in your menu. And this statement is fully confirmed by the practice. So, a group of American scientists (Rossi) conducted an interesting experiment. Three women, whose body mass exceeded the norm by 80%, began to do 1-hour wellness walking every day at the speed of 3 miles (4800 m) per hour. Along with this, the women were offered to choose tastily, but low -calorie food without any limits. With this menu, energy intake was only 1900 kcal every 24 hours, and expenditure was 2800 kcal, and so, they spent much more energy that was taken with food. In 60 days of fulfilling this wellness programme, the women’s body mass decreased from 100 to 93 kg. One more researcher group analysed the condition of 6 women with IV-degree obesity (when body weight exceeds the norm by more than 20 kg). Their everyday menu was only 2300 kcal, and energy expenditure was even less – 2200 kcal. The 30-minute walking training on a treadban every day for 6 weeks with the increase of everyday energy expenditure to 25% with their usual menu led to 2.3 kg decreasing of body mass and 1.2 kg decreasing of body fat (Wood, 1982). And when researchers compared two groups of people, one of which was regularly doing aerobic training (fast walking and slow running), and another who led a passive way of life, they found, that in the active group, body weight was close to perfect (the perfect weight is your weight when you’re 18), and they had 1.5 times less fat tissue amount than the passive ones, who had 25% excessive body weight. In some months, half a year or a whole year, if you’ve got enough perseverance, you’ll definitely learn to cover 5 km in 45 minutes even if you have IV-degree obesity, the heaviest degree. 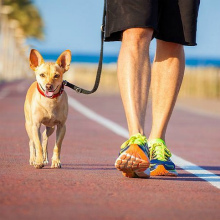 Fast walking will let you reach your goal – burn off most of your fatty tissue and normalize your body weight, and also lower your blood pressure, cholesterol level and strengthen your heart muscle. So, “The Rational Diet” (this name is suggested by the diet’s author) is the restriction of products like fatty kinds of meat, eggs (cholesterol! ), butter and sour-cream. 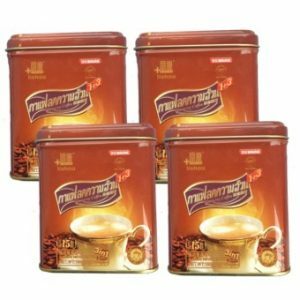 Instead, it recommends sunflower oil, non-fatty beef, fish, vegetables, and fruits. Also, this diet requires full avoidance of “pure” calories – sugar, sweets, and pastry. As a result of this anti-coronary program, in 6 months, all the participants (except the 11 who left) dropped their body weight to the levels which are closer to the norm. Their cholesterol exchange also was normalized. And during the dynamical observation in the recent years, CHD developed only in 4 people of the “anti-coronary club”, while in the control group of the same age, where people didn’t do this program, 25 of them got the disease. So, as a result of the rational diet and everyday walking, the risk of CHD was decreased six times! And nowadays, in the XXI century, a diet of Dr. N. Pritikin is quite popular in the USA. It doesn’t have any principal differences from Dr. Jolliaf’s diet. It’s based on complex carbohydrates in the form of fresh vegetables, fruits and cereals (80%) combined with small amounts of proteins and fats. So, intensive physical training together with a rational menu is the only real way of fighting excessive body weight and atherosclerosis. Cooper warns us about the danger of a careless attitude towards overweight. “Two excessive kilograms on your waist or in the lower part of your stomach can be more dangerous for the organism than is supposed by most people and even some doctors, – he writes. – We already know for sure that excessive (for example, 13-18 kg) body weight can cause complications that bring serious risks for your life, such as atherosclerosis and cancer”. And with his usual accuracy and scrupulosity, he offers us formulas for counting the optimal number of everyday calories. These formulas are used in the Centre of Aerobics. Besides the amount of calories in food, the relation between mealtime and the time of training matters too. The rule is simple: physical training must be done with an empty stomach – either in the morning before breakfast or in the evening not earlier than two hours after the mealtime. Because when the stomach is full, it requires an additional blood flow for digestion and presses on the diaphragm, making breathing and blood circulation harder. Also, stimulation of the digestion centre leads to the development of so-called “food dominance” (the leading excitation spot in the digestion centre), which, according to the physiological laws, slows down the motion centres of the CNS and causes muscle relaxation. And as we all know from our experience, after a big meal, we want to rather have a nap than to train intensively. The optimal time for lessons is from 10 to 12 and from 17 to 19 PM, the time of the highest peak of physical workability in the 24-hour biorhythm. Evening training are more preferable for the weight loss because the digestion centre slows down due to the same laws and development of motion dominance. This statement is especially stressed in the works of French physiologist M. Duran, who says that dosed physical exercising lets people normalize their body mass not only because of energy expenditure, but also because of hunger suppression. By the way, it has more effect on obese people than on slim ones. That’s why intensive evening walking will let you avoid big supper easier, and take only an apple and some kefir instead. And this is very important because otherwise, you can quickly neutralize the expenditure of 400-500 kcal. As for the water regime, it doesn’t change when you do wellness walking. It means you may quench your thirst both before the training and after it. The additional liquid intake isn’t required either because fast walking within the 1-hour limit doesn’t cause significant liquid loss. But long run in summer is completely another case. During a marathon race, sportsmen lose 5-6 litres of liquid, what requires its urgent replacement. That’s why on a marathon track, you can usually find special nutrition points. Serious water losses are seen in amateur runners during a 2-hour running. But when you do wellness walking they’re not significant, because water losses with sweat are small and don’t require any special replacement. So before and after the training, you may drink a cup of tea or fruit juice – and you won’t need anything more.